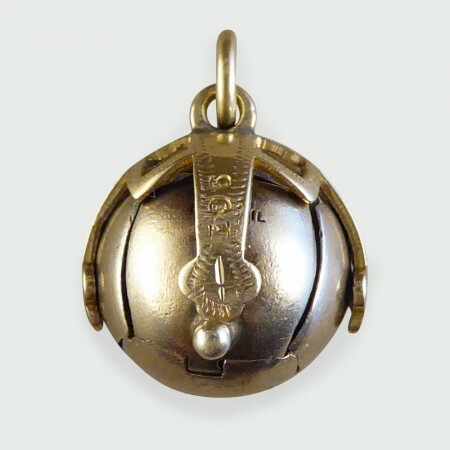 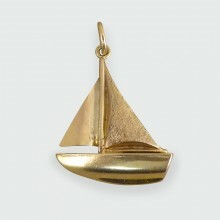 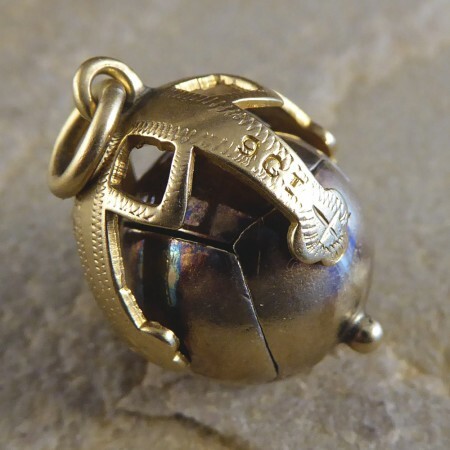 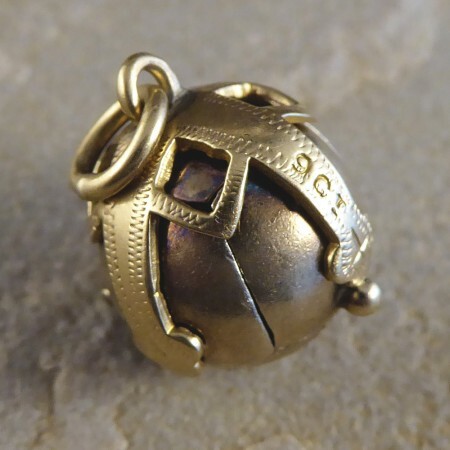 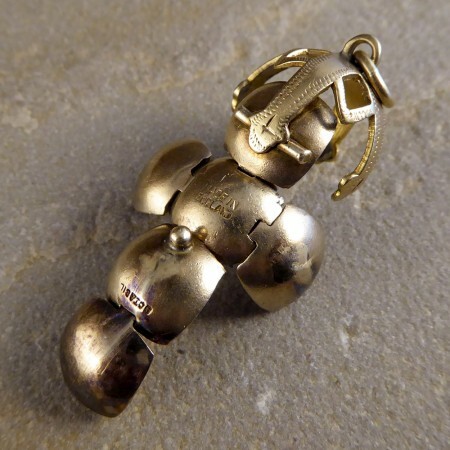 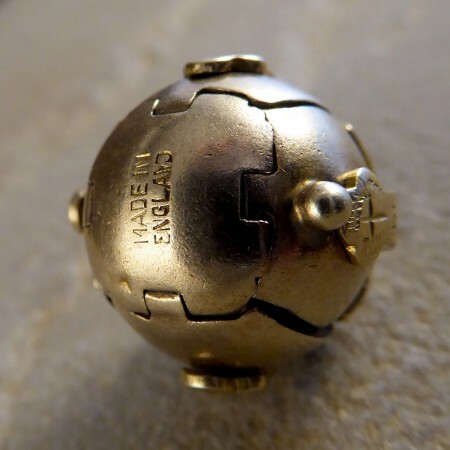 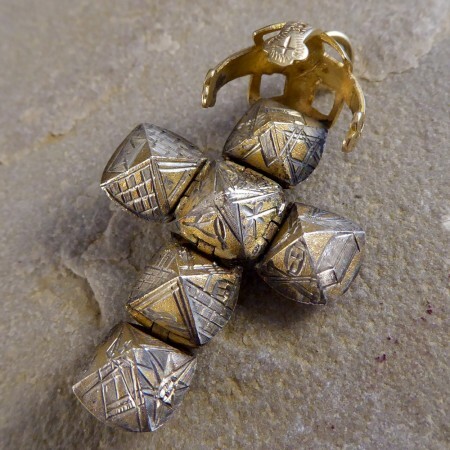 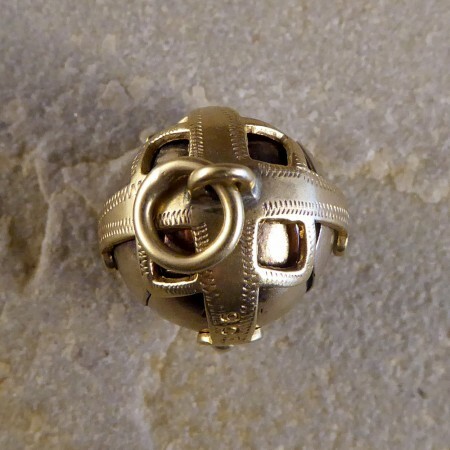 This Unique Antique Folding Ball Pendant appears initially to simply be a Gold sphere, however when unhinged opens out to show a cross shape formed by six pyramids. 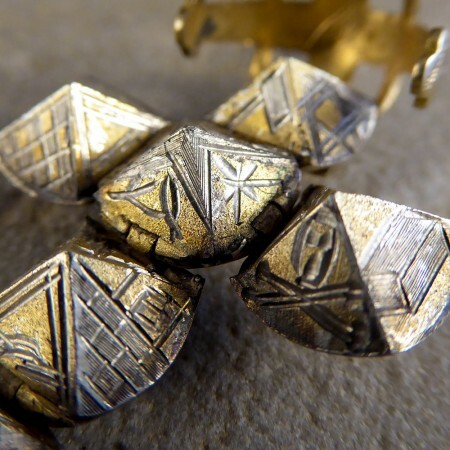 On these, are a variety of symbols including the tools of stonemasons to represent moral values which is a key element of freemasonry. 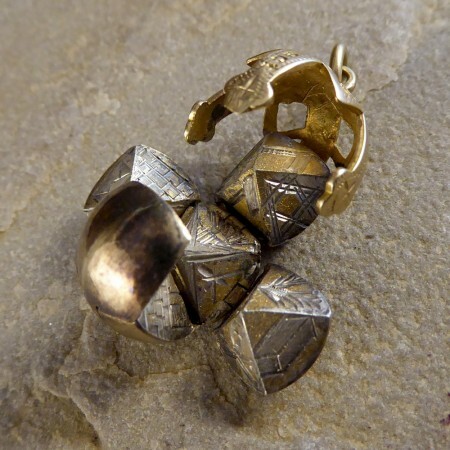 The original Freemason owner will have worn this to discreetly show their membership. 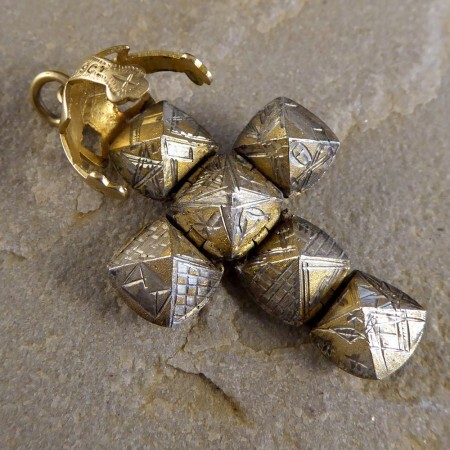 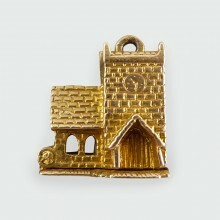 Perfect as a Pendant or Charm, this rare find is a fascinating treasure!